Smoothies are blended form of fruits or vegetables without cream but with little milk or yogurt or honey. 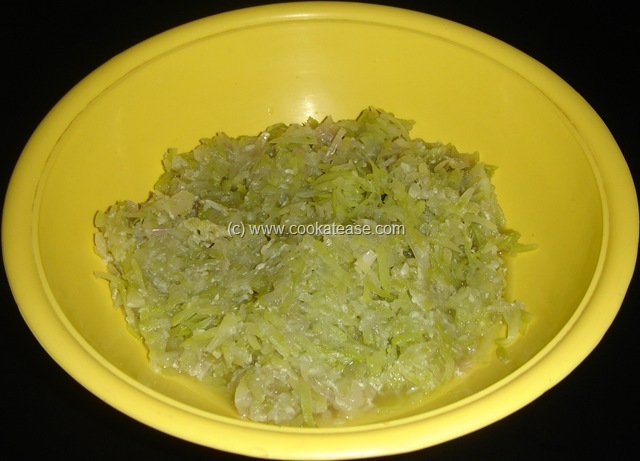 It is a healthy food suitable for all especially to children. It can be prepared fresh at home for our children. Smoothies are good for infants after starting solids. It is also suitable for old people who can’t chew their food. 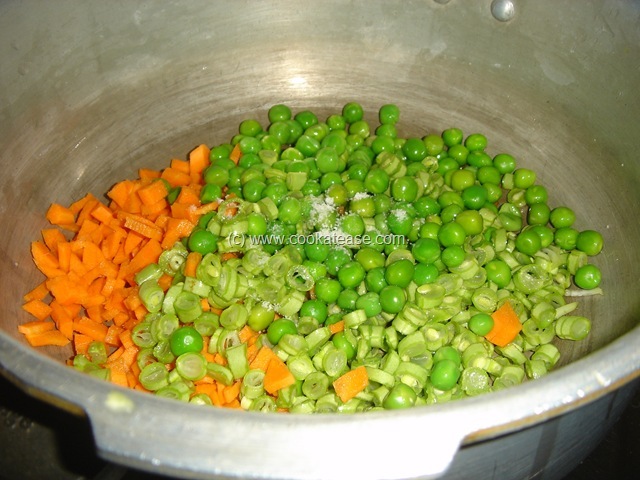 Almost all vegetables can be boiled, blended and given to infants after 6 months. When you introduce smoothie to infants, avoid vegetables having strong smell and more fibers. 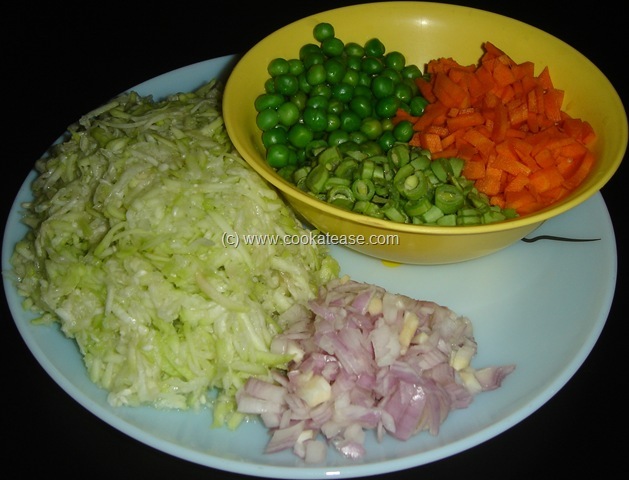 Select vegetables that are soft after boiling. 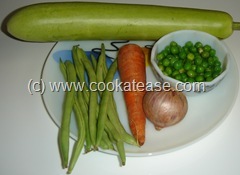 I prepared a vegetable smoothie with mixed vegetables like carrot, beans, peas and bottle gourd. 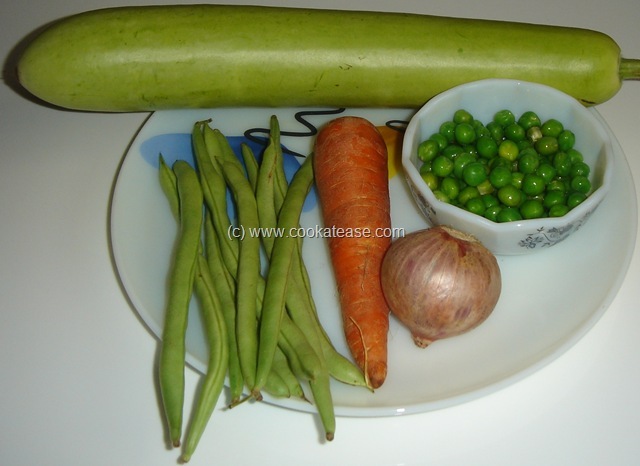 These vegetables do not have strong smell and bottle gourd is comfortable for eating after cooking. For a change even adults will find it different and tasty. 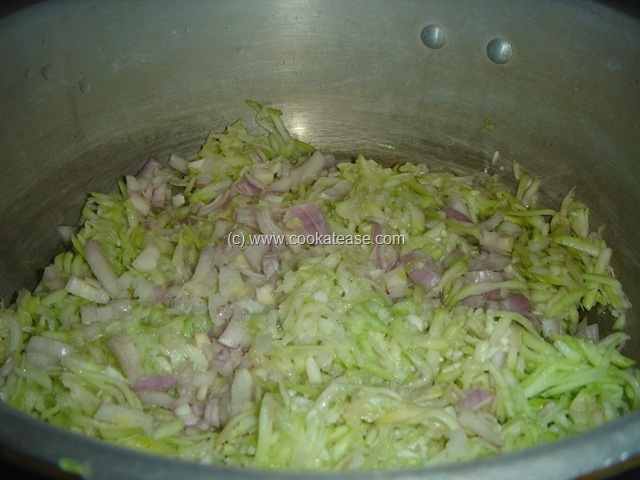 Peel, wash and grate bottle gourd; finely chop onion; in a pressure cooker put grated bottle gourd, chopped onion, 2 table spoon of milk and keep for one whistle; allow it to cool. 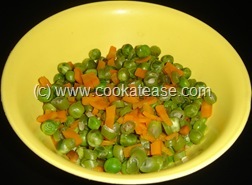 Peel, wash and finely chop carrot; remove the fiber like thing on the sides of the beans and chop nicely; in a pressure cooker put chopped carrot, chopped beans, peas, a pinch of salt with hand full of water and keep for a whistle. Grind boiled bottle gourd and onion with a pinch of pepper and salt; with this, mix boiled carrot, peas, beans, few drops of ghee or butter and serve to toddlers above 12 months. 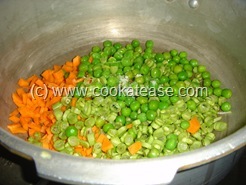 As they like to munch, they will enjoy soft-boiled carrot, peas and beans in the blended bottle gourd mix. This can be given as in-between meals to toddlers. 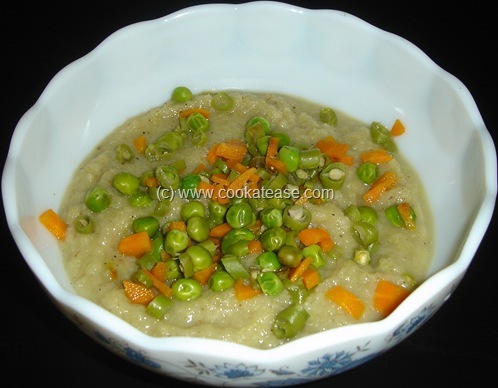 For infants above 6 months, mash the boiled carrot, peas and beans well; add this with mashed bottle gourd mix and salt; no need to add pepper. Try this smoothie with different combinations of vegetables. 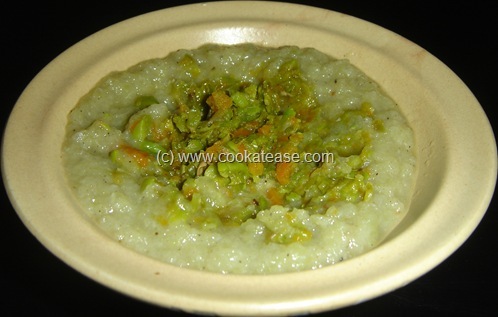 This post is part of the event ‘Food for 7 stages of Life – Cooking for Infants and Toddlers (0-3 yrs)’ hosted by Food for 7 stages of Life and Cook Like a Bong. Name itself looks very innovative…Prefect dish for kids indeed! I agree with Priya, it is a perfect entry for the little ones. BTW, Started reading your blog and can’t seem to stop – Wonderful !